Click here to read the AD Times article about the event! The Most Reverend Alfred A. Schlert was born to Alfred and Marylou Schlert in Easton on July 24, 1961, and was educated at St. Jane Frances de Chantal Elementary School, Easton and Notre Dame High School, Easton. He prepared for the Priesthood at St. Charles Borromeo Seminary, Philadelphia, the Pontifical Roman Seminary, Rome and St. John Lateran University, Rome. He was ordained a priest at the Cathedral of Saint Catharine of Siena, Allentown on September 19, 1987, by The Most Reverend Thomas J. Welsh, Second Bishop of Allentown. 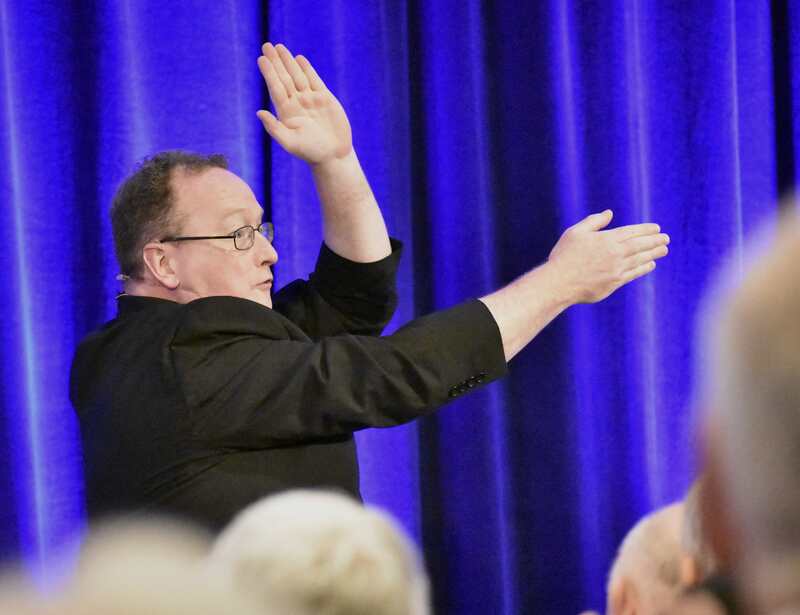 He served as a Parochial Vicar at St. Francis of Assisi Church, Allentown, as a Professor at his alma mater, Notre Dame High School, Easton and as the Catholic Chaplain at Lehigh University, Bethlehem. During his years at Notre Dame High School, he resided at St. Anthony of Padua Church, Easton, St. Bernard Church, Easton and Sacred Heart Church, Bath. He completed graduate studies at the Pontifical North American College, Rome and the Pontifical Lateran University, Rome where he received a Licentiate in Canon Law in 1992. 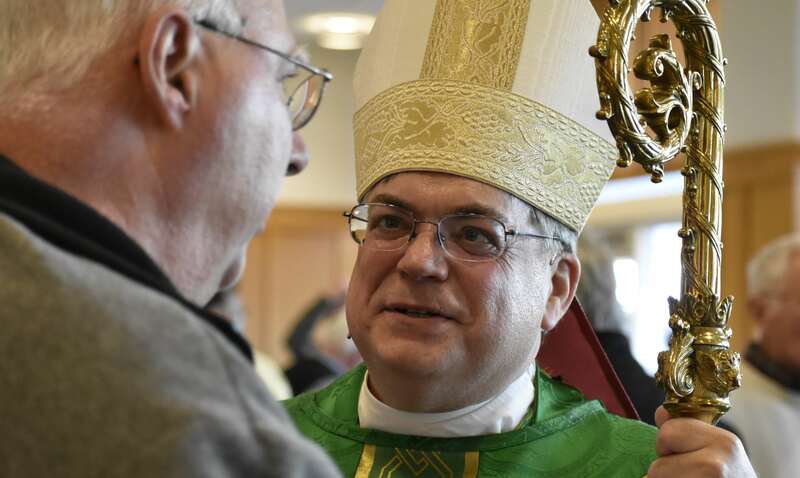 He was named Vice Chancellor and Secretary to Bishop Welsh in 1997 before being named Vicar General of the Diocese by The Most Reverend Edward P. Cullen, Third Bishop of Allentown, in 1998. 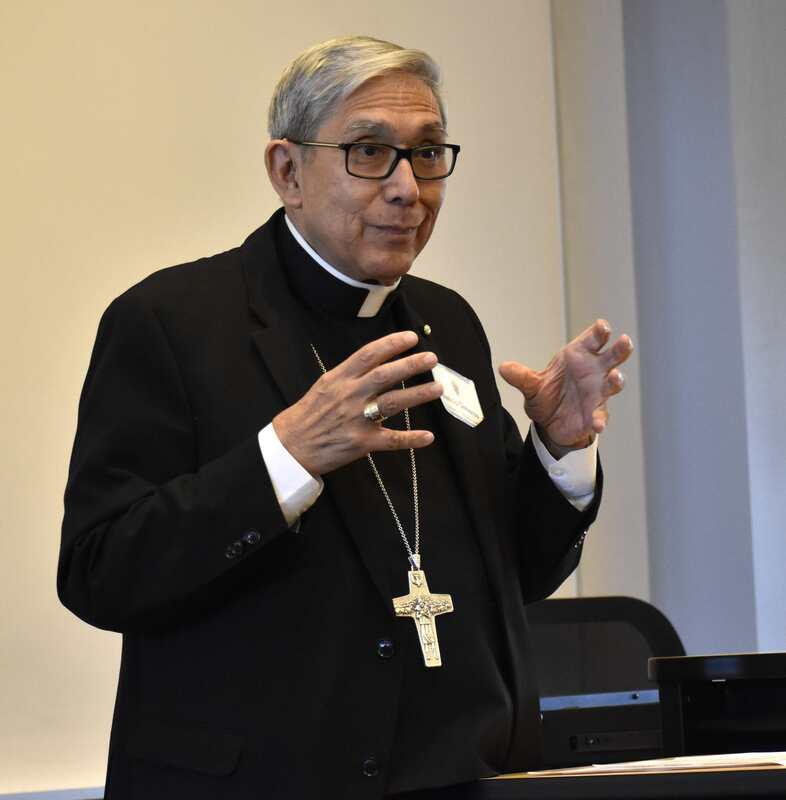 As Vicar General, he oversaw the coordination of all administrative offices of the Diocese. From 1998 to 2008 he was in residence at the Cathedral of Saint Catharine of Siena, Allentown. While still serving as Vicar General, he was appointed Pastor of St. Theresa of the Child Jesus Church, Hellertown in July 2008. Upon the Ordination and Installation of The Most Reverend John O. Barres, Fourth Bishop of Allentown, he was reappointed as the Vicar General of the Diocese and resumed full-time service as Vicar General in February 2010, with residence at St. Theresa of the Child Jesus, Hellertown, until his Ordination as the Fifth Bishop of Allentown. Pope St. John Paul II named him Chaplain to His Holiness with the title of Monsignor in 1999. Pope Benedict XVI named him a Prelate of Honor, the second highest rank of Monsignor, in 2005. Bishop Schlert served as Vice President of the Pennsylvania Catholic Conference and as a member of its Administrative Board. He also served on the Diocesan Council of Priests, the Diocesan Finance Council and the Diocesan College of Consultors. He was a member of the Board of Trustees of DeSales University, Center Valley, Pennsylvania. 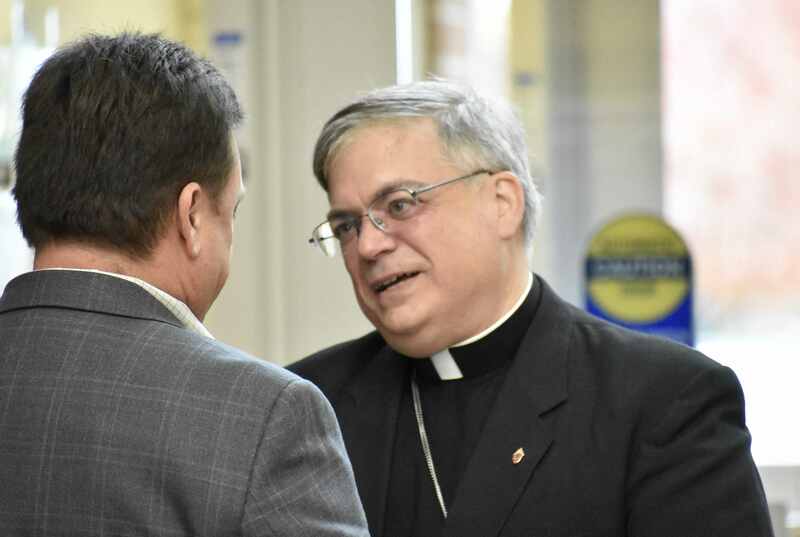 He was appointed the Fifth Bishop of Allentown by Pope Francis on June 27, 2017. He was ordained a Bishop and installed as the Fifth Bishop of Allentown on August 31, 2017. BATTLE READY is a mission of RADIX to help strengthen and encourage the soldier of Christ to be aware of, prepared for and engaged in the spiritual fight that we are in. 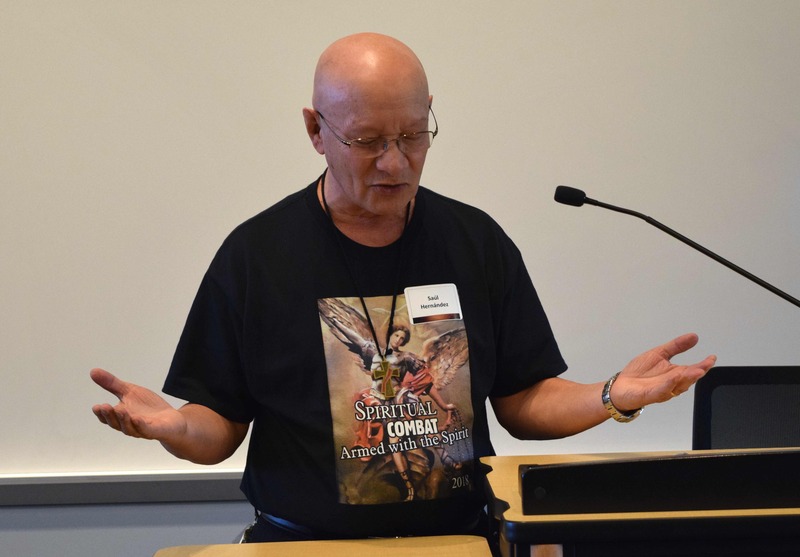 Since the start of the BATTLE READY initiative, these BATTLE READY events have been able to reach out to many hearts and souls and have offered a powerful opportunity to rally the troops for Christ and the faith! Patrick Coffin is the Canadian-born former host of Catholic Answers Live. Live radio show, and the Catholic Answers Focus podcast. Patrick has interviewed a wide array of leaders and scores of Christian thinkers. Ordained in 2004, Father Stephen DeLacy served as Parochial Vicar of SS. Peter and Paul Parish in Philadelphia and as school minister for Archbishop Carroll and Pope John Paul II High Schools before being named to his position as Director of the Philadelphia Archdiocesan Vocation Office. He has done a number of retreats at the Malvern Retreat House, has been a Theology on Tap speaker, and Young Adult Ministry Leader. Msgr. John Campbell was ordained by Bishop McShea on May 21, 1966. He was the director of the Hispanic Apostolate of the Diocese of Allentown in the late 1970‘s to the early 1990’s. Msgr. 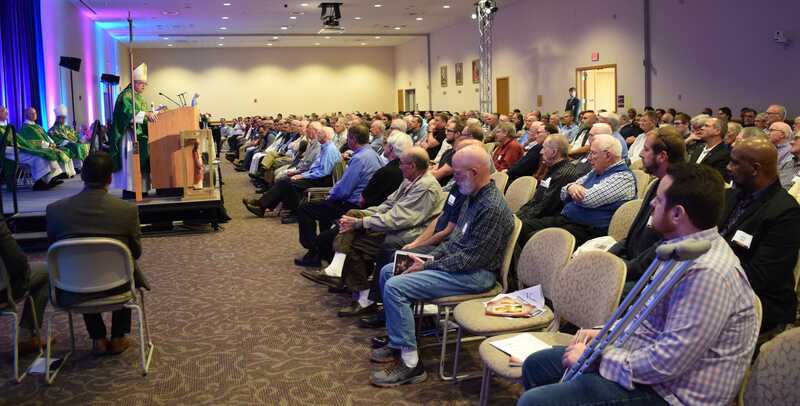 Campbell was on the study commission that recommended to start the diaconate in the Diocese and worked with the first two deacon classes in the diocese. The program of the first two classes were in English and Spanish. He was in charge of the Spanish part and taught many of the classes as well as getting others to teach in the program. 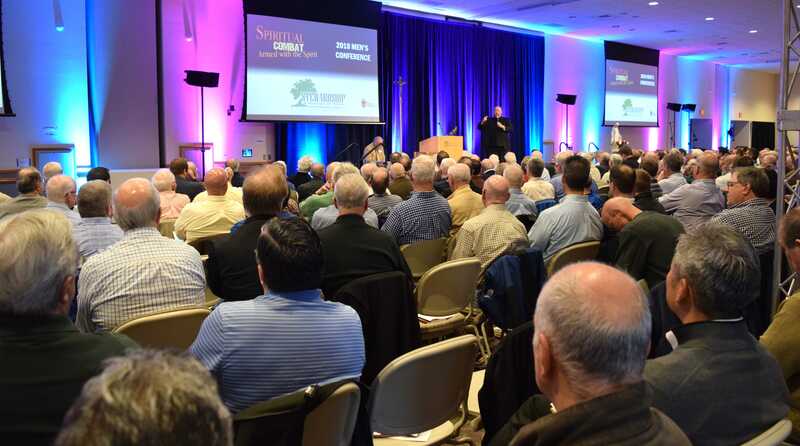 Father Stephen DeLacy, director of the Vocations Office for the Archdiocese of Philadelphia, presents the morning keynote address. Bishop Octavio Cisneros, auxiliary bishop of the Diocese of Brooklyn, presents a talk at the Spanish-speaking track. 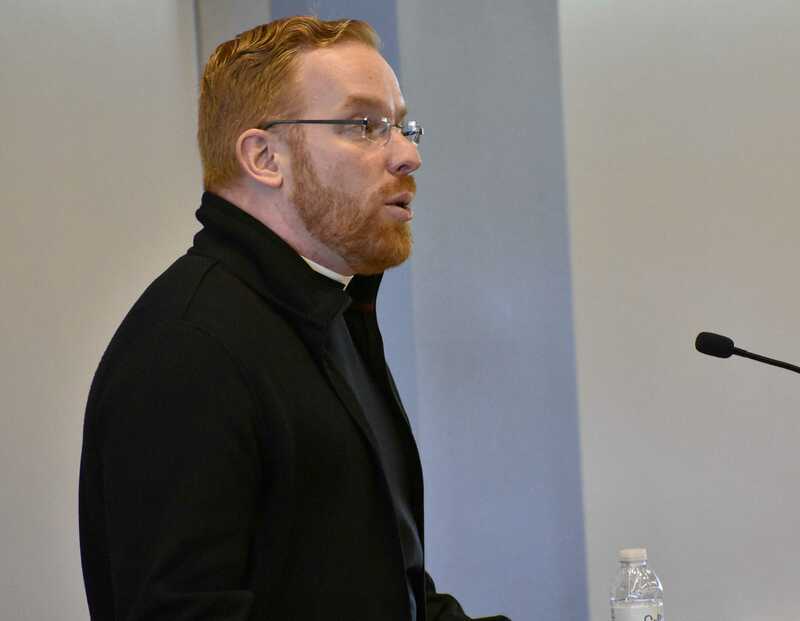 Father Mark Searles, director of the diocesan Office for Vocation Promotion, talks about his vocation to the priesthood and the vocation to be good fathers, brothers and sons. 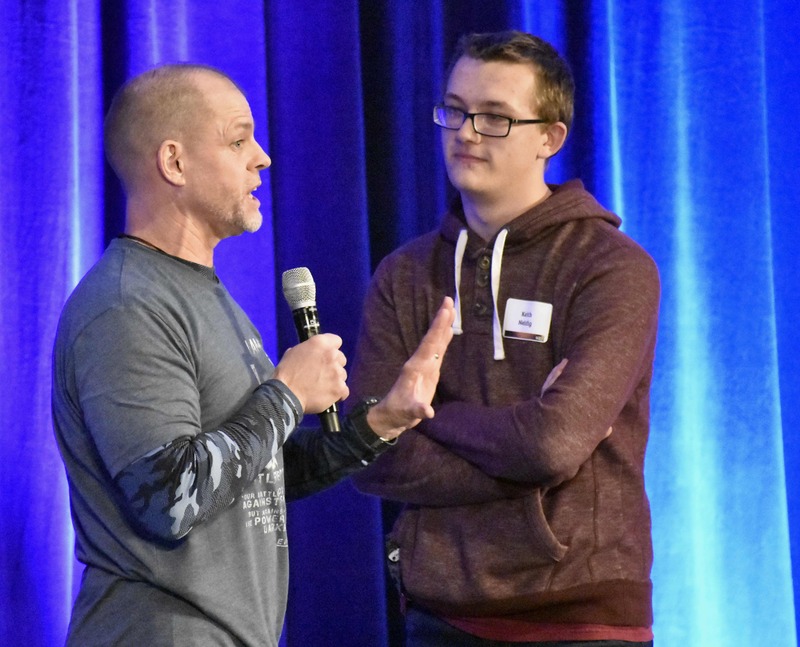 Doug Barry, left, husband and father of five, and founder and director of the Catholic minis- try RADIX, discusses the importance of self-defense with Keith Neidig, student at Bethlehem Catholic High School. 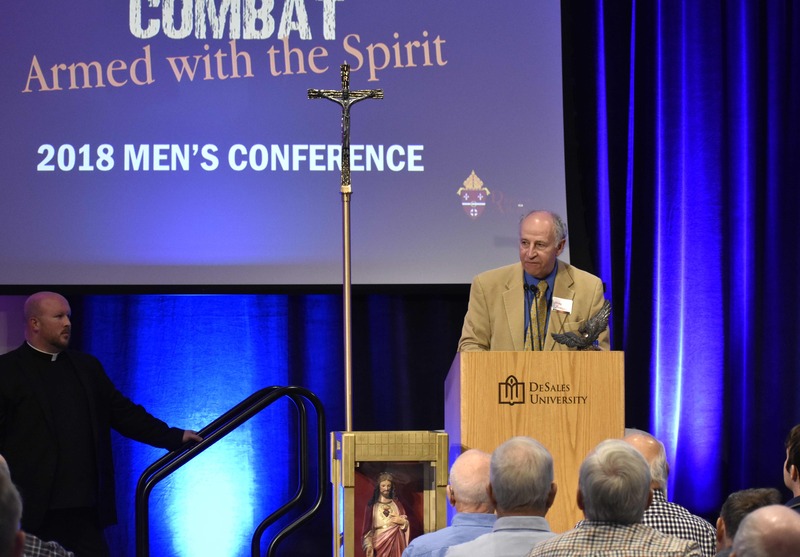 Father Allen Hoffa, administrator of St. Joseph, Summit Hill, welcomes men to the conference. Mike Barski, Charirperson of the diocesan Commission for Men, introduces Father Hoffa. 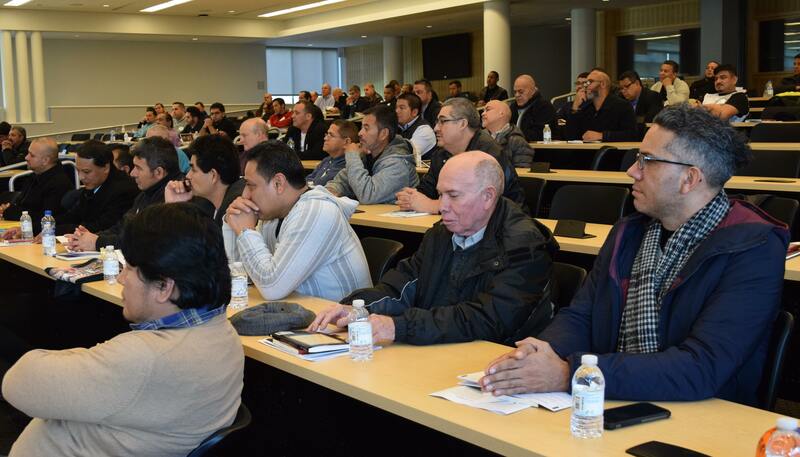 More than 100 men gather for the Spanish-speaking presentations at the Gambet Center. Deacon Saul Hernandez, assigned to St. Paul, Allentown, begins the Spanish-speaking track with Opening Prayer. Bishop Cisneros, right, talks with Jerome Stephen, left and Salvador Espinosa during the lunch break. 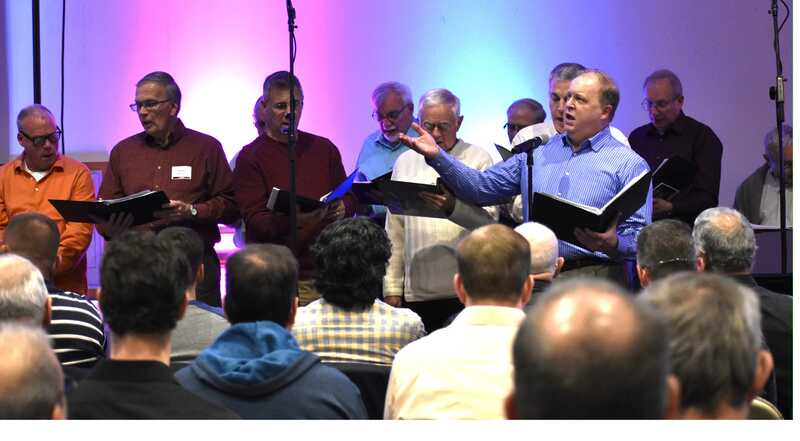 The Men’s Choir from Holy Infancy, Bethlehem leads worship and praise at the Spanish-speaking track. 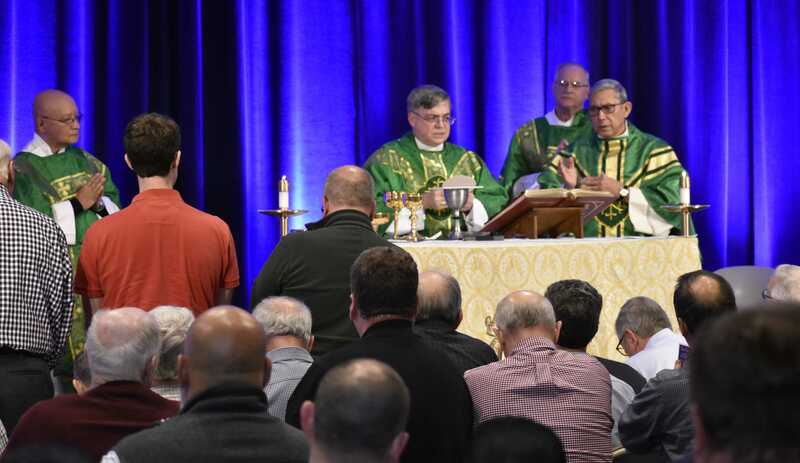 Bishop of Allentown Alfred Schlert, center, celebrates Mass at the Diocesan Men’s Conference. From left are: Deacon Hernandez; Deacon Michael Doncsecz, assigned to Queenship of Mary, Northampton; and Bishop Cisneros. 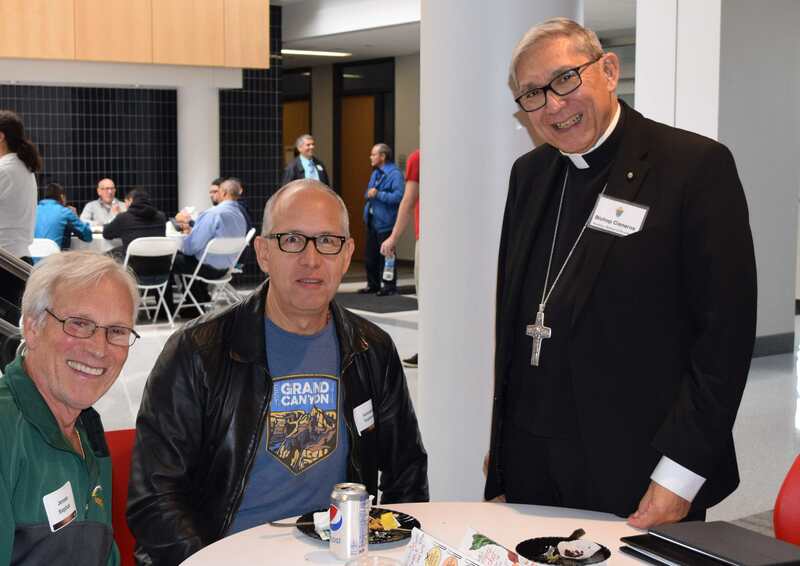 Bishop Schlert chats with one of the men participating in the conference. 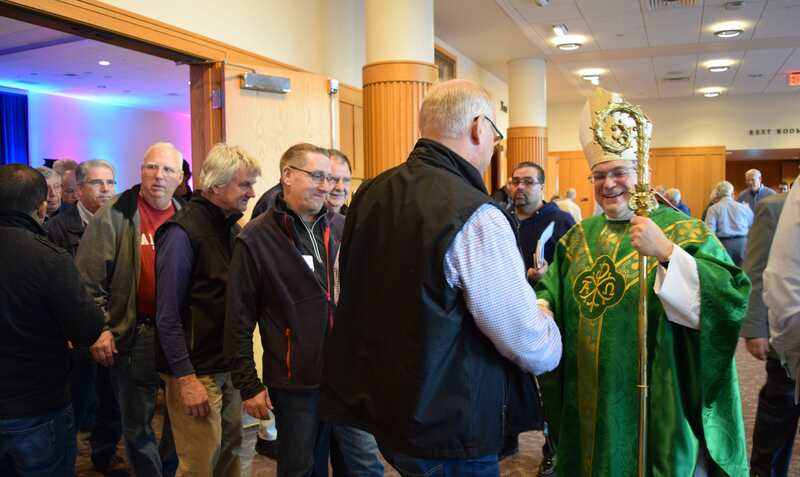 Bishop Schlert greets a conference participant after Mass. Men from the Cathedral of St. Catharine of Siena, Allentown choir sing the Responsorial Psalm during Mass. 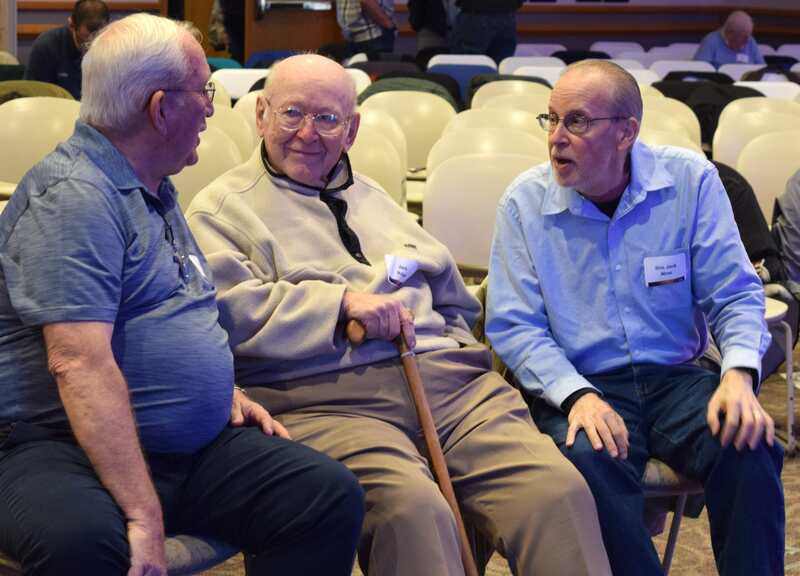 Enjoying conversation during the break are, from left: Frederick Yanity; Jack Huber; and Deacon John Mroz, assigned to St. Joseph, Jim Thorpe. Men meeting Bishop Cisneros, right, at the Spanish-speaking track are, from left: Angel Martinez, Alberto Martinez and Felix Pereira. 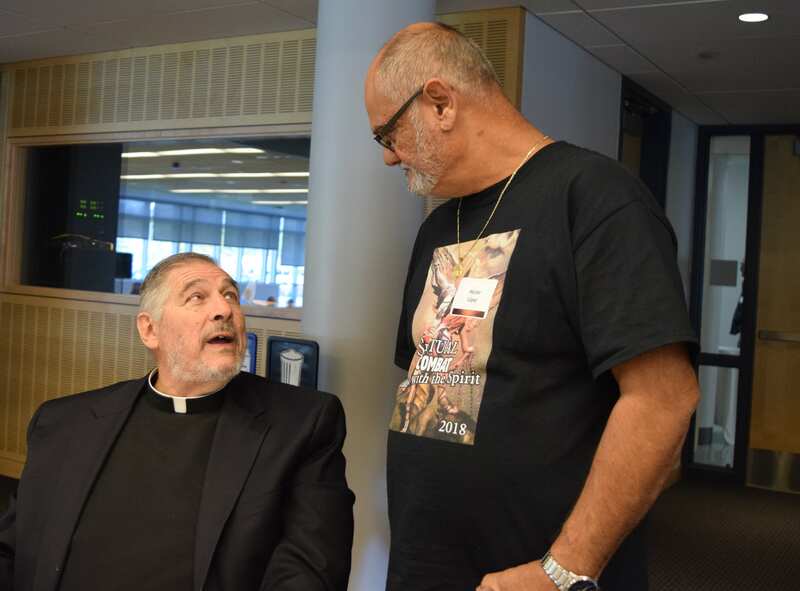 Monsignor John Campbell, left, pastor emeritus of Queenship of Mary, enjoys a conversation with Hector Lopez. 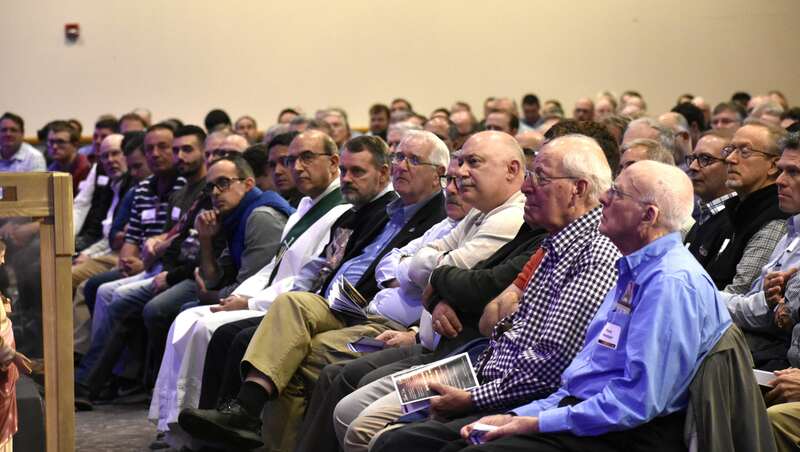 Bishop Schlert introduces himself to men attending the conference after Mass.